Not only investors that invest in hedge funds but also distributors that select their sellable products use this process in order to make sure that the funds are the right products to buy. The term will more commonly apply to voluntary investigations. A common example of due diligence in fund industries is the process through which potential investors or distributors evaluate whether a target fund or fund manager id well managed in both portfolio management and risk control administration. 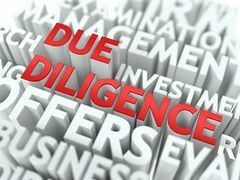 Due diligence usually starts by sending a DDQ（Due Diligence Questionnaires）to a target fund manager in order to get enough information about the fund and manager. Questionnaires consist of (1) Business risk and (2) Investment risk. Let’ s take a look at (1) below as examples of the questions. - How the fund management company runs. While, (2) investigating the following points. After obtaining the answers, on-site due diligence will take place. There, investors grill fund managers with a bunch of questions in a very serious manner. Through these rigid and formal processes, investors and distributors can finally select a fund that they would like to invest in.